“Laura and her team have been a great resource for our office! Our bookkeeper we used in the past was unresponsive, and we needed to wrap up 2016 for our accountant so our taxes could be filed. Luckily, we found Laura, and everything has been great. She was able to guide us through everything we needed, and her office staff really went above and beyond when uploading all our our data. Once 2016 is wrapped up, we’ll be setting up an appointment to get 2017 under control, and for more training." “We are very happy with the time and attention we have received . Laura is professional and knowledgeable . A pleasure to work with and We highly recommend her." “As an HR/Management Consultant, I have had the opportunity to work with Laura on client projects. She has significant expertise and very knowledgeable in HR, Payroll, and Accounting. She is very client focused, providing clarification, detail and prompt response to the questions and needs of the client. Laura is also very patient in educating and providing guidance to all. She is a great resource and would be a great fit for any organization. Highly recommend." “We started using the QuickBooks and Payroll service this year. Laura helped us set up the account and make the software works smoothly. She is very professional and knowledgeable in QuickBooks and the Payroll area and she always helped us out with any problems we had. We keep a good business relationship with Laura for now and the future." “Laura was such a pleasure to work with. She is very knowledgeable and makes you feel comfortable asking any questions. The professionalism was a pleasure to deal with. She does not make you feel stupid when asking questions you do not know. I personally feel like I have learned a lot from her. I had no idea quick books could do so much. I can honestly say I learned something new every day and appreciated all of her help. What a wonderful teacher and I am so glad she was introduced to our office." “Laura has been a great asset to our company! Our books were a mess before we contracted Laura, she really took the time and effort to make sure our books were cleaned up properly and remain current and accurate. Laura also has begun to manage our cash flow reporting and all the bank and credit card reconciliations. She really saves us a lot of time and headache!" “Turn Key Office solutions was extremely knowledgeable and helpful. Our small business was struggling to accomplish more than we possibly could on our own. When we called Turn Key it was the best decision we made. They helped us to assess our needs and met them within our budget. Their expertise saved us time and money, freeing us up to do what we do best–run our business and not the office." “With Turn Key Office on our side, we are able to remain focused on our customers and our company’s growth without any concerns over the maintenance or integrity of our financials. I honestly don’t know how small business owners survive and prosper without companies like Turn Key Office on their side." “Very good presentation, I’m much more comfortable using QuickBooks after Laura’s seminar." “We have a multi-market company with a lot of moving parts. Turnkey Office was instrumental in helping us navigate our accounting software." 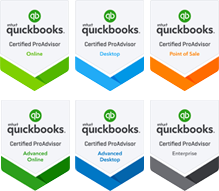 “The QuickBooks presentation was professional and relevant. I would recommend Laura McInerney of Turnkey Office."